Every week the editorial department chooses one website of the week out of the industrial market. 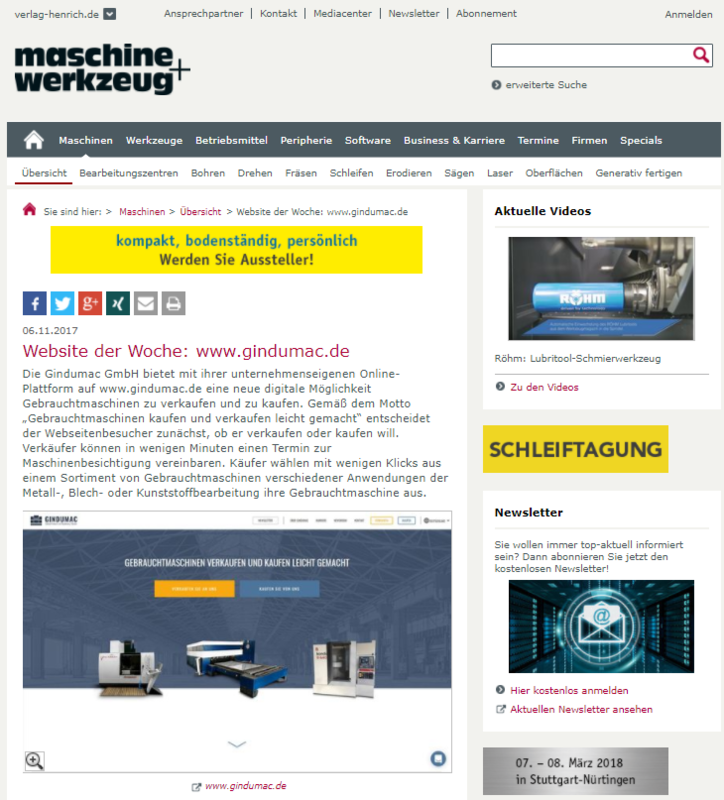 We are proud that the editors of maschine+werkzeug made www.gindumac.com their choice on November 6th, 2017. Check out the article by clicking on the image!